Water is a truly renewable resource: evaporating and returning to the air, forming clouds, and then raining down on us, with the cycle repeating over and over. 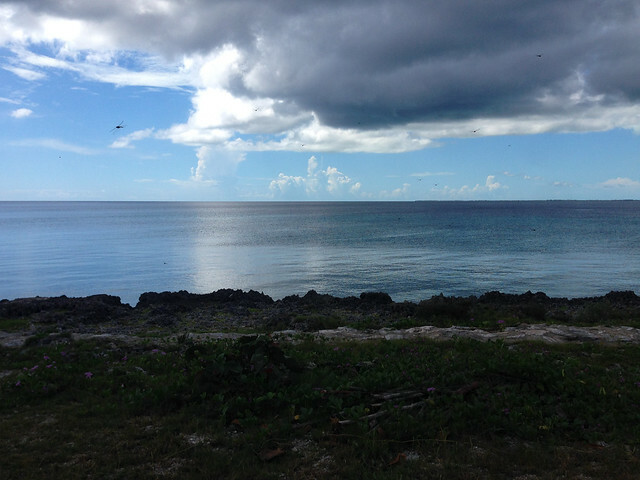 The amount of water on the planet remains constant. What changes is the amount of clean, drinkable fresh water for humans and wildlife. Humans need only one or two quarts of water per day to stay alive, but we use much more. According to Cornell University’s Science News (January 20, 1997), each American uses about 100 gallons of water a day for drinking, cooking, washing, disposing of wastes, and other personal purposes—much higher than the world average of 22 gallons per person per day. Agricultural and industrial water use is even more intensive. Farm policies in the United States subsidize the cost of irrigation, exacerbating the problem. As the population increases, the amount of clean water available in lakes, rivers, and streams, as well as the uncontaminated groundwater supply, is being depleted. Much of the groundwater used for agriculture, industry, and municipalities is being depleted much more rapidly than it’s being renewed. 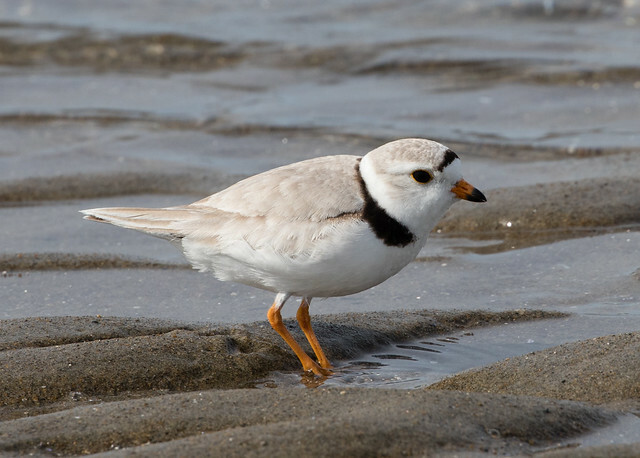 How critical is water conservation for birds? 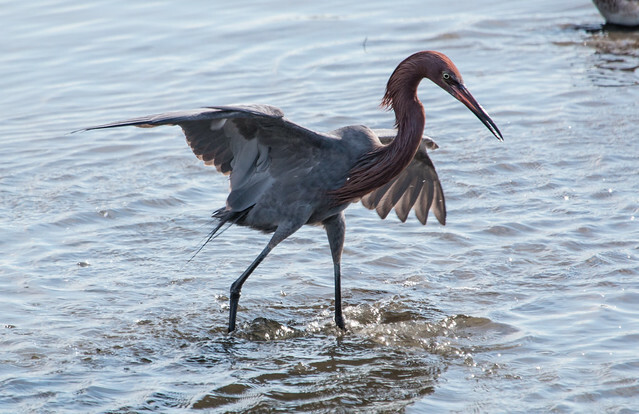 Let’s consider just one situation: that of the Aransas National Wildlife Refuge on the Texas Gulf coast. People have known for a long time that the fresh water flowing into the refuge is critical for Whooping Cranes and other species that live in the estuary. Cranes, like the humans living in San Antonio and other Texas cities depend on water from the Edwards Aquifer, a source of spring water that feeds the Guadalupe and San Antonio Rivers. Rainwater and runoff also provide fresh water for the rivers, but during dry spells, aquifer spring may contribute more than 80 percent of the fresh water entering the bay. When people remove this water from the aquifer for drinking, bathing, irrigation, feeding livestock, manufacturing, and other uses, the fresh water entering the estuary from the rivers declines, salinity goes up, and the ecosystem changes. In years when insufficient fresh water flows from the rivers into the estuary, marsh salinity increases, and blue crab populations decline. Blue crabs are the primary food source for wintering Whooping Cranes, so when salinity is high and blue crabs are few in number, more Whooping Cranes die over the winter. 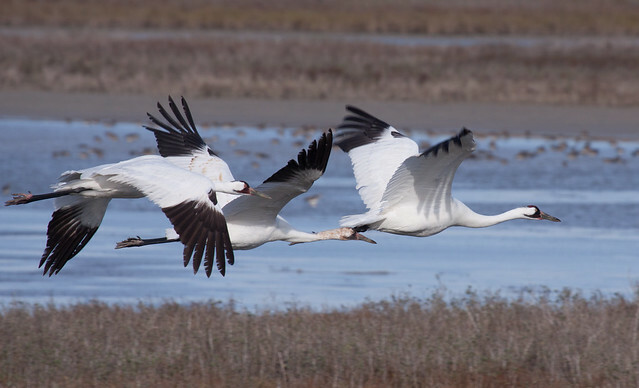 “We found when salinity in the marshes reaches twenty-three parts per thousand (seawater is thirty-five parts per thousand), the Whooping Cranes have to fly to fresh water to drink at least twice a day. 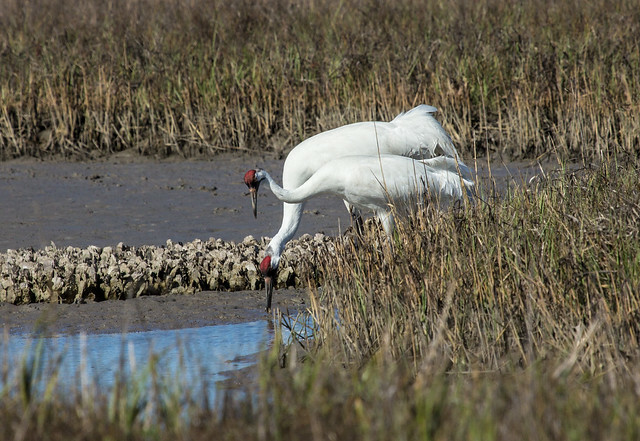 This forces the cranes to use up more energy reserves and increases the risk of predation whenever the birds leave the marsh,” Tom Stehn, Whooping Crane coordinator at the Aransas National Wildlife Refuge, told me. The cranes that survive have less to eat and are forced to use up their fat reserves, which they need to survive their 2,400-miles spring migration with enough energy left over to nest successfully. Stehn notes that there is a direct correlation between Whooping Crane breeding success in summer and the population level of blue crabs the previous winter. It’s not only Whooping Cranes that depend on freshwater inflows to the estuary. 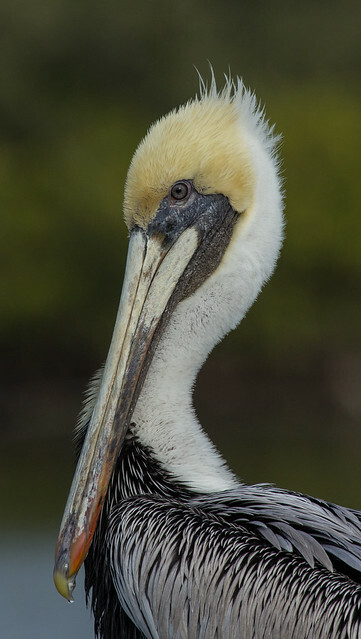 Other endangered or threatened species that live in the bay include Brown Pelicans, Reddish Egrets, and Piping Plovers. The human population of Texas is expected to double in the next fifty years. 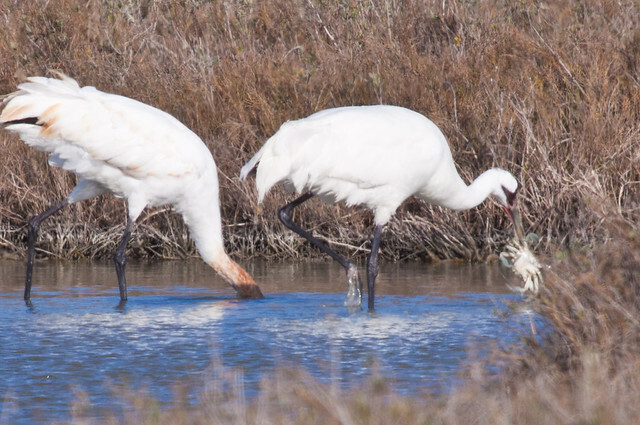 How will Texans meet their own needs as well as those of Whooping Cranes and other birds, especially as changing weather patterns exacerbate the degree and duration of droughts? In Florida, burgeoning development has put Everglades National Park in jeopardy. In Nebraska, the flow of the Platte River, where migrating Sandhill Cranes stop over every spring, is a fraction of its historical level. Much of the arid West is becoming even more arid. In the Southwest, the exploding human population has depleted already limited freshwater supplies, with international implications. Millions of acres of junglelike wilderness in northern Mexico are now sterile salt flats because of heavy water use in the United States. In the days before the Hoover Dam was completed in 1936, Aldo Leopold recorded clouds of waterfowl in the Sonoran Desert’s largest wetland, the Cienega de Santa Clara. Leopold traveled the Cienega by canoe with his brother in 1922, calling it a “milk and honey wilderness.” “The river was nowhere and everywhere, for he could not decide which of a hundred green lagoons offered the most pleasant and least speedy path to the Gulf,” Leopold wrote. “So he traveled them all, and so did we.” The Cienega is but a shadow of what it once was, and it is threatened by more damage from the Yuma desalting plant, which, if it goes into production, will feed its toxic sludge dregs directly into the Cienega. The ever-increasing voraciousness for fresh water ensures that problems such as this will become more prevalent. We will continue to lose the freshwater reserves that we should be protecting for our children and grandchildren, as well as for birds and other wildlife. The worst water problems in the nation are in the West, where water conservation is urgent for both humans and birds. Yet flying over major cities, one can’t help but notice the many swimming pools sparkling in the sun. Squandering limited water supplies in arid areas increases the likelihood of wildfires and leads to the concentration of toxins that run off into rivers and groundwater supplies. Even in areas of the country where there is much more fresh water, such as the Great Lakes region, groundwater and drinking water supplies are becoming contaminated due to intensive agricultural practices and toxins from industry and people. When sewage plants carry too heavy a burden, managers sometimes hasten the treatment process by releasing a blend of contaminated and cleaned water, which increases the danger of disease for both humans and birds. One dangerous organism, cryptosporidium, got into Milwaukee’s drinking water in 1993, causing about 400,000 people to get sick and killing more than 100. In the face of that, little attention was paid to the loss of birds and other wildlife. Chemicals are so pervasive in the environment that one study found 287 different contaminants in human umbilical cord blood. These contaminants included pesticides, fire retardants, and mercury. A June 2005 Washington Post article reported on the alarming amount of pharmaceuticals in our nation’s waterways, the result of drugs being tossed down the drain and flushed down the toilet. These chemicals, including hormones found in birth control pills, may have human health risks, since water treatment plants remove only a fraction of pharmaceutically active compounds. Nobody is sure what the effects are, how these substances interact, or their full impact on wildlife. Nevertheless, most government officials don’t seem particularly interested in the issue. When I was in graduate school, one of my friends who became a biologist for Exxon used to say, “Dilution is the solution to pollution.” This may be true to a point, but year after year, as our freshwater supplies stay constant or dwindle and the amount of toxins we release steadily increases, pollution becomes more concentrated, not more diluted. In one of the largest and ostensibly one of the cleanest lakes in the world, a series of storms in September 1990 caused storm sewers to overflow and led to a sewage spill, washing raw sewage and even some medical wastes into Lake Superior. In Duluth, where I live, birders found sick and dead birds all along the shore. One birder brought me three sick Sanderlings; she had found these little shorebirds, weak and emaciated, along a popular beach. Parasites multiply rapidly on birds that are too sick to preen, and these birds were covered with lice and mites. As I examined them and dusted them with a mild insecticide, a louse on the sickest bird bit me, apparently transferring whatever pathogens were in the bird. A couple of days later, I became seriously ill with a high fever, hallucinations, and difficulty breathing. My symptoms were similar to psittacosis (parrot fever), but blood samples proved negative for that and every other disease I was tested for. My doctor laced me with a broad-spectrum antibiotic, and I recovered. 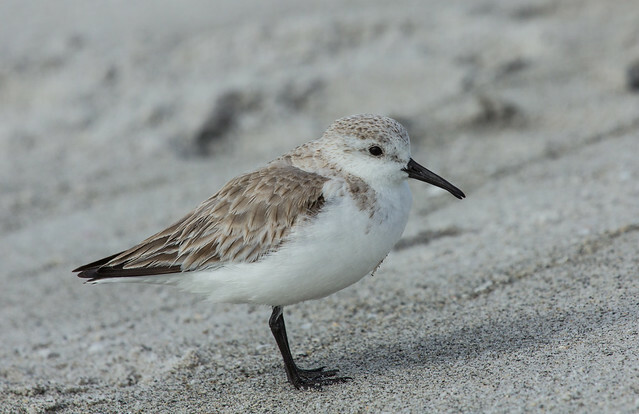 The Sanderling died, however, and a Common Nighthawk I was caring for at the same time also succumbed. We Duluthians swim and boat in Lake Superior and draw our drinking water from it, all the while leaking our wastes into the water and trusting that human beings will prove a bit sturdier than little sandpipers. As public utilities become increasingly burdened by the growing population, and as the anti-tax movement makes it harder to maintain them, we can expect this kind of dangerous situation to happen with increasing frequency, hurting all of us. Even simple sewage backups and overflows can contaminate lakes and rivers. Conserving and using our precious water resources responsibly helps us all. *Paper products. These don’t dissolve and add to the burden of the sludge. *Lint and hair. These may clog the drain or the sewer system. *Condoms, underwear, and other nonbiodegradable solids. *Oil, paint, and other toxins. Take these to your local toxic waste disposal site. *Cat litter. The sand and gravel can block a sewer line.